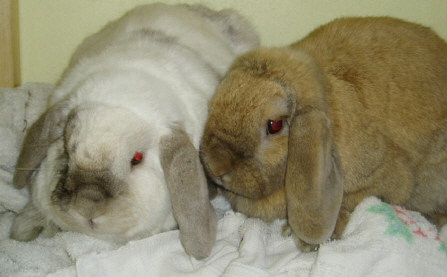 Buggsey and Loppy are two sweet lop eared rabbits, who were sadly returned to us when their owner no longer had time for them. 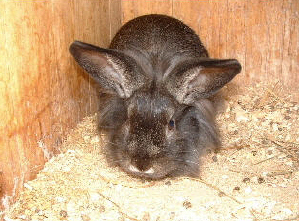 They are very friendly and used to being handled. 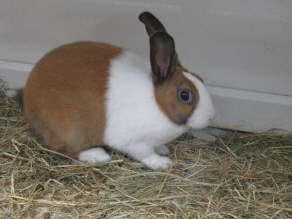 Meet Bill and Ben, two male brown and white cross-breed rabbits aged 1 year and 3 months old. 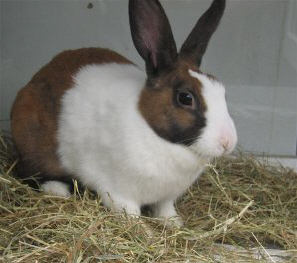 They are friendly rabbits who enjoys human company and they would like a home with a large garden and to be rehomed together. 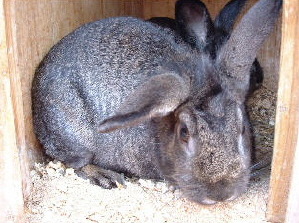 Hazel and Fiver are brown and white Dutch rabbits. 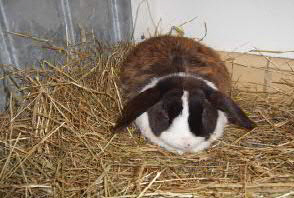 Mum, Hazel, is always happy to run up to her carers when they offer her fruit and veg but she is very nervous of being picked up and stroked, which is probably the result of a negative experience when she was the victim of an uncaring breeder. Since she has been at The Mayhew she has improved a great deal, but it will take time and patience to bring her on further. 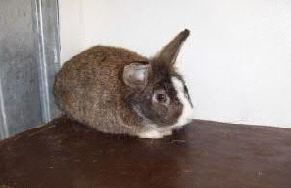 Her son, Fiver, is the complete opposite and enjoys meeting new people and likes to be petted and stroked. He also enjoys playing. 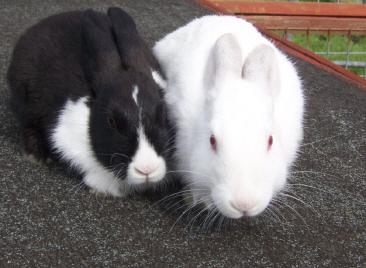 As a bonded pair, these two will make two different but very rewarding pets.